Who, what where and why of LRM? LRM is Learning Relationship Management. It’s an emerging category of education technology that fills in the gaps left by other major systems like LMSs and SISs. LRM does for learning what CRM does for sales — specifically, it gives organizations and those who lead them a way to make sure that every single learner has exactly what they need to be successful. And increasingly, what people need to succeed is relationships. MOOCs have made it clear that the classes at Princeton are not necessarily better than the classes at your local community college. What makes Princeton better is the relationships that you can develop there. Relationships with peers, mentors, faculty and staff and alumni. Relationships with learning communities, departments, industry, and leading experts. Relationships to goals, to content and to the university itself. See, when you graduate from Princeton, you get a degree that is essentially a letter of recommendation from the faculty that says “this person met our high standards and is entitled to the rights and privileges thereunto pertaining”. But even students who go to a vaunted university like Princeton can fail to grasp this. And most students at lesser schools do so. It’s easy to slip through the cracks of our industrial system of schooling. To never develop strong relationships and so under-optimize your educational experience. At a place like Princeton, that can still mean you get a good education by most standards. But at a lesser school, or a school with lesser resources, advising, mentors, peers, goals, and community can be the difference between success and failure. LRM is just a technology system for managing relationships. But when used properly, it helps make sure that every learner has exactly what they need to succeed. And if you don’t know what kind of relationships your students have, you’re gambling with student success. 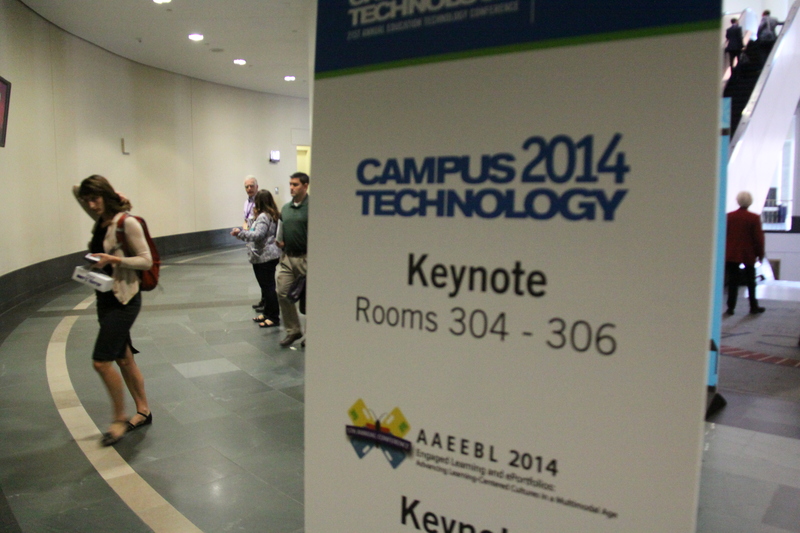 In between sessions exploring what’s new on the education technology horizon, faculty and IT staff walked the floor where more than 150 companies were hawking their software and gadgets. On display was everything from a virtual exam proctoring service to the latest in 3-D printing. “It’s basically a way for schools and companies – any teaching and learning organization – to make sure that every single person has the assets they need to be successful,” Counselman tells WGBH’s On Campus. The software program helps faculty and administrators monitor students’ goals by tracking their coursework, extracurricular activities and mentorships. At a time when many families want a return on their investment, Counselman says Fidelis is meeting a real demand in today’s higher education marketplace. The start-up, which launched in December, has 15 customers so far, including Stanford, Arizona State, American Military University and Lipscomb University in Nashville. Counselman says his product is geared toward college administrators who are struggling to maintain enrollment and produce graduates ready for the workforce. “There’s a bottom-line element to it, but there’s also a delivering-value-to-your-students element to it,” Counselman says.